The Epcot International Flower and Garden Festival is underway. This spring tradition features seminars, exhibits, food kiosks, and amazing topiaries. 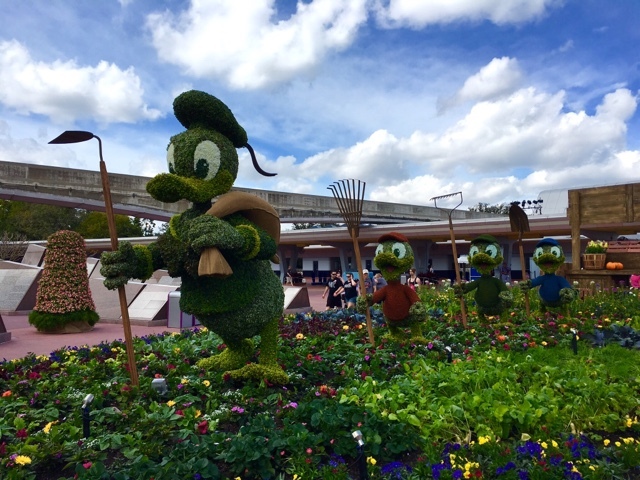 This year, the front of the park features Donald Duck and his family. I took this shot yesterday, on the opening day of the festival.